According to the Texas DOT, there were 284 fatal truck accidents in 2016 and another 2,339 truck accidents that resulted in serious injuries. The total number of truck accidents across the state that year was 15,676. If you have been in a truck accident call our Round Rock truck accident attorney today. Trucking accidents are largely a result of trucker error, including fatigue, distractions and reckless driving. Truck accidents can also be caused by shifting cargo, mechanical issues, defects in a truck part or the truck design itself, and blind spots. Unfortunately, these types of accidents are often catastrophic, and result in long-term disability that’s coupled with chronic pain. 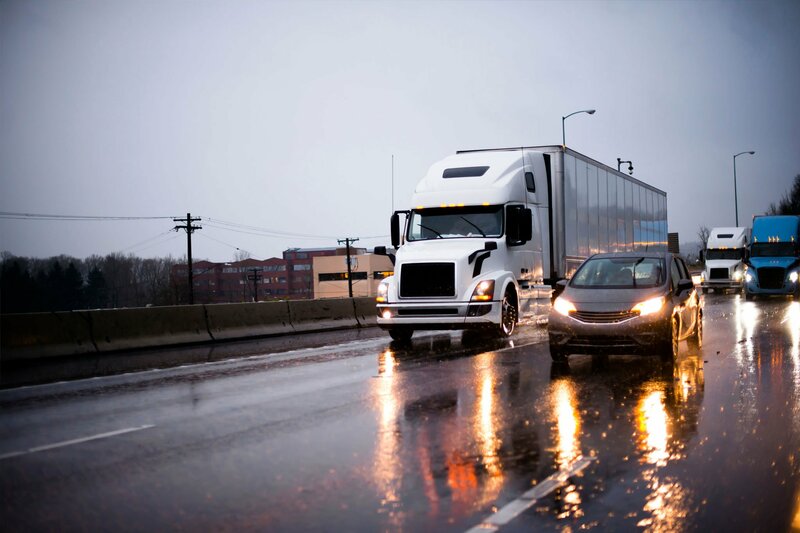 If you’ve been injured in a trucking accident in Round Rock, you need an experienced and skilled trucking accident attorney on your side from the very start. It is important to remember that the way the victim of a trucking accident reacts, and the way the trucking company reacts, are often very different. A trucking accident victim will likely be focused on medical care, rehabilitation, and an ever-increasing stack of medical bills. Lost wages may also be an issue if injuries are so severe that a victim is unable to work. The trucking company, on the other hand, will be doing their best to minimize their exposure and liability for the accident. As an example, an accident victim’s first call was likely to 911 for medical help, while the driver of the 18-wheeler called the trucking company, who immediately dispatched a team of professionals that consists of a legal team, reconstruction specialists, and professional trucking accident investigators. Their goal is to minimize the damages the trucking company will face. It is important to understand that the team of professionals sent out by the trucking company has one goal, which is to disprove your version of the collision. The logbooks of the truck driver will immediately be collected, and these, along with other critical evidence sometimes “disappears” all together. The truck driver will be thoroughly “debriefed” by his team as a comprehensive story regarding the events prior to the crash is carefully crafted. As the victim, you’ll most likely be completely immersed in receiving appropriate medical care, which means that unlike the trucking company, hiring an attorney will not even be on your radar. This disparity can place the trucking company at a decided advantage down the line. It is extremely important that you speak to an experienced Texas truck accident attorney as quickly as possible following your accident so that you’re able to create a more level playing field. Trucking accidents are known for being particularly complex. Not only will you face a team of experts who are bent on minimizing the company’s liability, there may also be more than one defendant, and in some cases, there will be a combination of the following defendants. The Trucking Company – The responsible party could be the trucking company, which hired an inexperienced driver or sent a driver out in a mechanically unsound truck. The Truck Driver – The driver could be at fault if he or she was overly fatigued, distracted, impaired or reckless. The Loading Company – If shifting cargo caused the accident, the loading company may be liable. The Truck Maintenance Company – If a mechanical issue like bad brakescaused the accident, the maintenance company may be to blame. The Truck Manufacturer – The manufacturer of the truck or a truck component could be responsible if a truck defect caused the accident. If you’ve been injured in a trucking accident in Round Rock, Texas, you need a local law firm on your side with extensive knowledge of Texas personal injury law. Trucking accidents are often complex and difficult to navigate without the assistance of a lawyer. You need a lawyer that can take on large trucking companies – and win. To learn more about your legal options, call Elissa I. Henry today at (512) 766-4529 for a free consultation and review of your case.